Visitors and tourists, who come to Prague, often want to see more than just the well known historical areas of our city. Therefore we are here to show interesting aspects of Czech culture, folklore and Czech countryside. Surprisingly you don’t have to travel far from Prague to experience peacefulness and beauty in the Czech countryside. Cicovicky Dvur is only 4km north of Prague’s “Vaclav Havel” Airport. The village, Cicovice, is based in a protected area of natural beauty near the ruined castle of Okor. 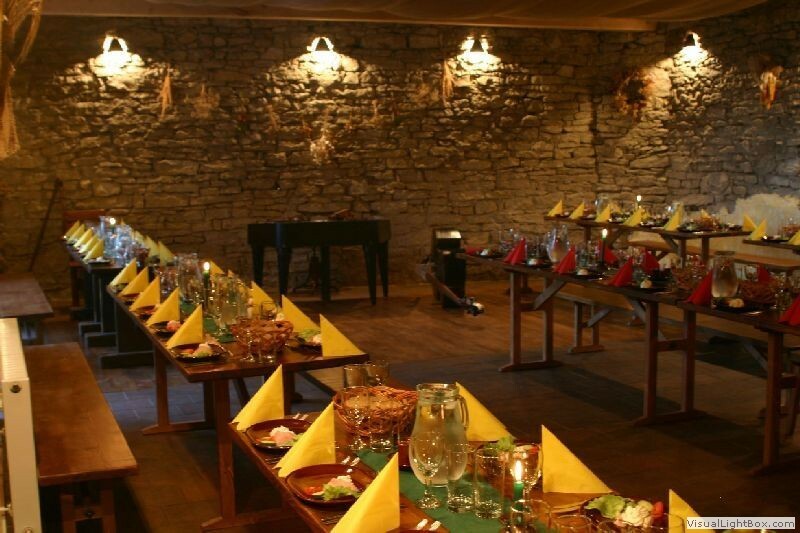 We offer lunches and dinners, in the hall of our peaceful farm, for groups of tourists. A variety of en-tertainments are included such as folklore dancers with traditional folklore musicians, demonstra-tions of traditional crafts and the tasting of Moravian wines. NEW Folklore evenings with a show of blacksmith and saddler crafts Folklore programme, involving traditional musicians and traditional folklore dancers in traditional costumes. The length of each program is approximately 2hrs 30mins but can be varied by agreement. Children younger than 12 years, accompanied by parents are free.